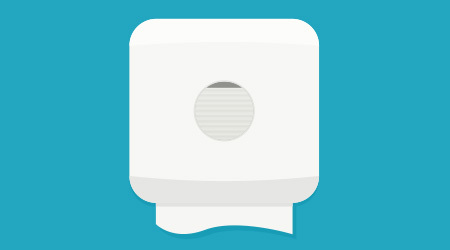 Hand dryers offer some distinct benefits, which may continue to increase their popularity. It’s these reasons, experts say, that distributors should consider adding dryers to their offerings. And it can pay to understand each of these benefits so distributors can educate and persuade customers. The first benefit is lower operating costs. Some customers are resistant to hand dryers, because they represent a larger initial cost than paper towels. When end users look beyond those up-front costs, however, hand dryers typically deliver long-term financial savings. Just how much can switching from towels to a dryer save a customer? The numbers are pretty remarkable. Anthony DiCicco, CEO of ProDryers, says even the most expensive hand dryers can deliver savings. A top-of-the-line dryer costs about $43 a year when used 200 times a day, he says. As a former small-business owner, Berl agrees that dryers are typically offered for the customer’s benefit, not the distributor’s. The second benefit is less waste. One of the biggest reasons for the cost savings with hand dryers is waste reduction. With towels, users tend to grab more than are necessary to actually dry the hands. Plus, some dispensers allow users to grab towels by the handful rather than regulating length and/or quantity. Piles of paper towels on the floor or overflowing from waste bins is not only a waste of resources, but it’s not aesthetically pleasing. “It just doesn’t look hygienic, and that can change the perception of the business overall,” says DiCicco. Vandalism and other mischief can also add to the waste — and lead to even costlier issues for the facility. There are also environmental considerations to take into account. Reducing waste not only benefits the bottom line, it also aids the planet. Sustainability continues to be a hot-button issue, and hand dryers can be an easy sell to customers who prioritize the environment, either because of personal conviction or government mandate. What’s more, hand dryer technology has made giant leaps in recent years, and that’s allowed hand dryers to radically improve from early designs. They are now touch-free, quieter, quicker and more attractive. Finally, there’s the question of hand hygiene. There’s an ongoing debate whether hand dryers or paper towels are more hygienic, and there are many studies to support both sides of the argument. In the end, the truth probably lies somewhere in the middle. Dryers do have a leg up, however, when it comes to air quality, he says. Many newer machines include HEPA filters that actually clean the air in the restroom.